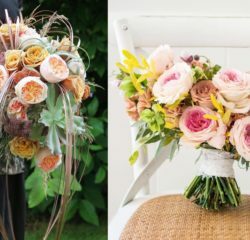 September is Fashion Week season and, as usual, flowers are part of the best looks from the runway. 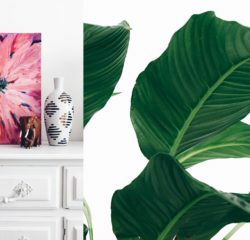 It seems that designers keep finding reasons to turn to floral inspiration for their collections, giving them new layers of meaning depending on the concept or trend. 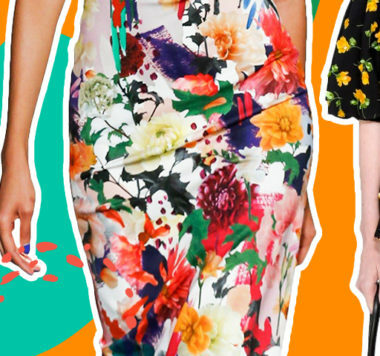 To explain what we mean, we share with you our favorite floral looks from Spring 2019 ready-to-wear. While you may know Carolina Herrera for the signature white blouses that Mrs. Herrera herself has turned into a style staple in the last decades, the brand’s collections are always full of color. This time, bright yellow, turquoise, green, and red stand out in billowing dresses and evening looks. There is a clear retro inspiration and we fell in love with the giant flower appliques on the sides of slip dresses, skirts and gowns. Their teardrop petals and rich colors irradiate a psychedelic vibe. Mary Katrantzou doesn’t shy away from texture. Her style is eccentric, rich in detail and super charming. Her latest collection speaks about… well, collections. Dresses that look like albums full of postcards or even butterflies and seashells neatly arranged in rows of white frames. Flowers were collected in less organized containers: inflatable plastic jackets that pressed them inside. The actual flowers showcase the skill of Katrantzou’s team, experts in meticulous beading and embroidery, making tiny daisies, poppies and more with shiny sequins, crystals and gems. In these looks it’s the little things that count. In women’s apparel, flowers are there even when they are not there. More than prints and patterns, their shape has profoundly influenced our way of draping and molding fabrics around the female body. Fashion, design and even architecture have marveled at the construction of flowers, their geometry, the rhythm that defines how petals alternate in a row or how they open up at full blossom. Some of our very favorite looks of the season come from DelPozo’s Spring Ready-to-wear 2019 runway. This fashion house has always had architecture in its DNA, so they are experts at making necklines that feel like layered petals on a delicate rose or ruffled carnations framing the shoulders.